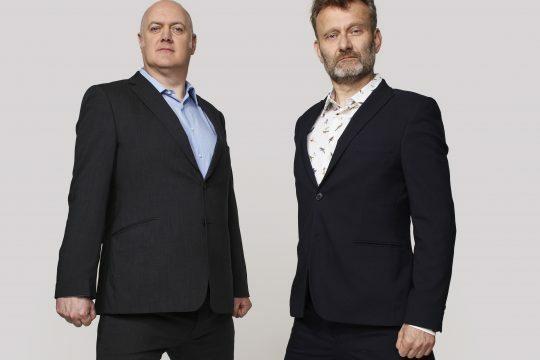 ITV is to transmit a new stand-up comedy format, ‘Out There’ as a one-off pilot in February2019. 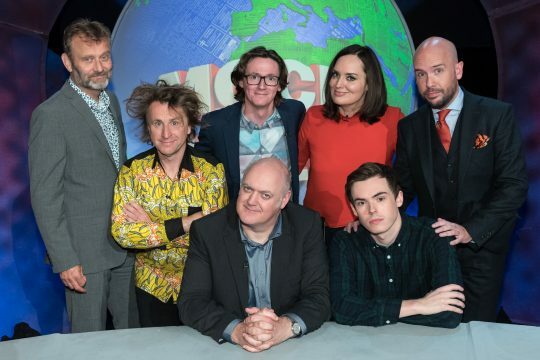 Featuring Tom Allen, Kerry Godliman, Milton Jones and a host of other brilliant stand-ups, ‘Out There’ showcases the country’s top comedians performing ‘out there’ in the world. The format lifts the comics out of the comedy club and plonks them in real-life situations, performing routines and one-liners in real world locations. Where else could you see Tom Allen pretending to have a nervous breakdown in a school classroom? One-liner specialists Darren Walsh and Mark Simmons trading gags in a hot tub? Kerry Godliman performing her routines from inside a Victorian folly? Answer? Nowhere except ‘Out There’. The producers promise a higher joke-per-minute rate than you’d find anywhere else on TV, from a wide range of performers, with a variety of styles. As well as featuring bigger names, ‘Out There’ continues Angst’s commitment to bringing through new talent, with spots from performers like dark musical comic genius Huge Davies, ‘Funniest Joke of the Fringe’ winning one-liner merchant Masai Graham and Malaysian stand-up Nigel Ng. The full list of performers is: Milton Jones, Zoe Lyons, Tom Allen, Kerry Godliman, Ed Gamble, Rhys James, Ivo Graham, London Hughes, Nathan Caton, Huge Davies, Darren Walsh, Mark Simmons, Rosie Jones, Nigel Ng, Bec Hill, Chris McCausland, Glenn Moore & Masai Graham. The show also features musical stings provided by beatbox duo A-Cloud. The brainchild of ‘Mock the Week’ co-creator Dan Patterson, ‘Out There’ is produced by his company Angst Productions and directed by the legendary comedy director Geoff Posner.